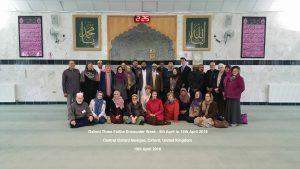 Imam Monawar Hussain, MBE DL, Muslim Tutor at Eton College: Founder of The Oxford Foundation: Muslim Chaplain, Oxford University Hospitals NHS Foundation Trust. The training week at St John’s College is designed for students, faith leaders, public sector and non-profit workers wishing to learn more about other faiths and cultures. There are both residential and non-residential places and bursaries are available for students on application. 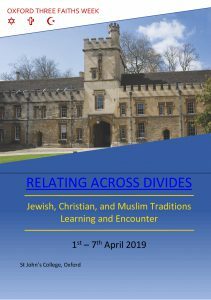 The week builds on many years of experience of Jewish-Christian-Muslim encounter through the weeks held by JCM in Germany and the similar weeks at the Ammerdown Study Centre in Somerset. 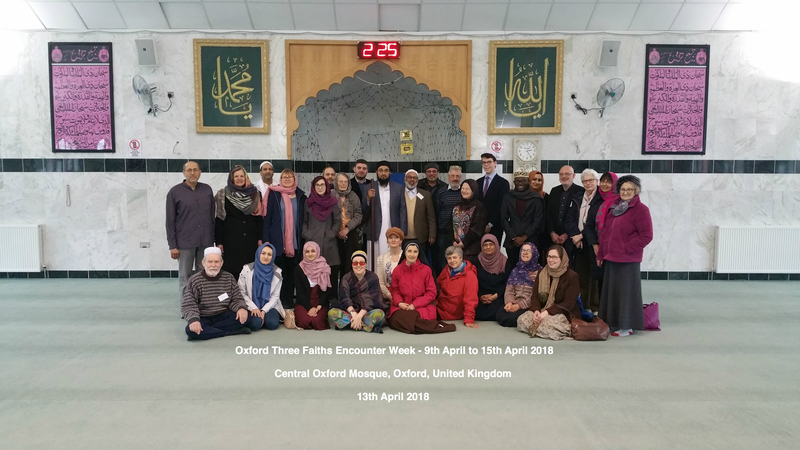 The first Oxford Three Faiths Week was held in April 2018 on the theme of “Beyond the Headlines.” The second one will begin in the evening of Monday April 1st 2019 and end with lunch on Sunday April 7th. 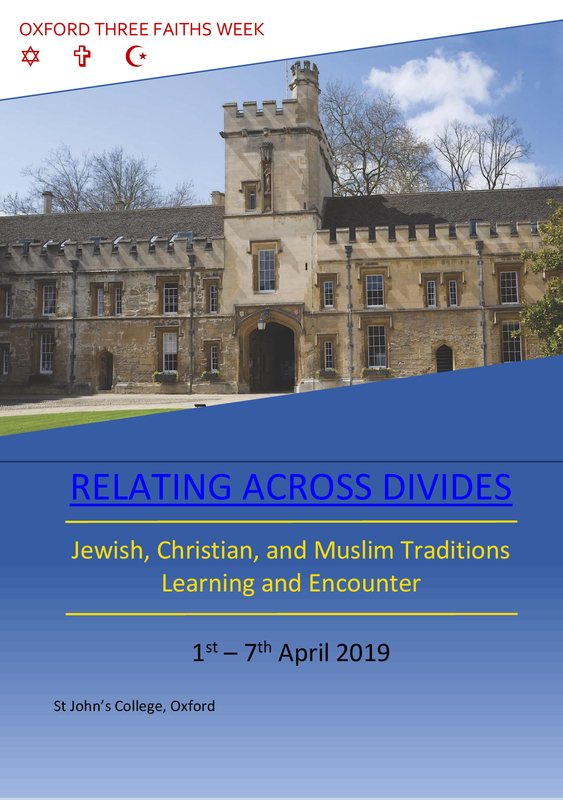 The theme will be “Relating Across Divides”, and will explore the various denominations and sects within the three faiths as well as relations between the faiths and mixed faith relationships. Students with an interest in other faiths and cultures. Teachers, social workers, police, prison officers or anyone who works with faith communities. The conference is open to all who have a positive and sympathetic interest in learning what makes other faith communities tick, and a commitment to listen without seeking to convert others to your own views. You do not need to have a personal faith commitment or identification to attend. We recognise that it takes commitment trust and courage to enrol for a week like this for the first time. We strongly encourage you to talk to one of our planning team: you can contact us through the email given on the application form.